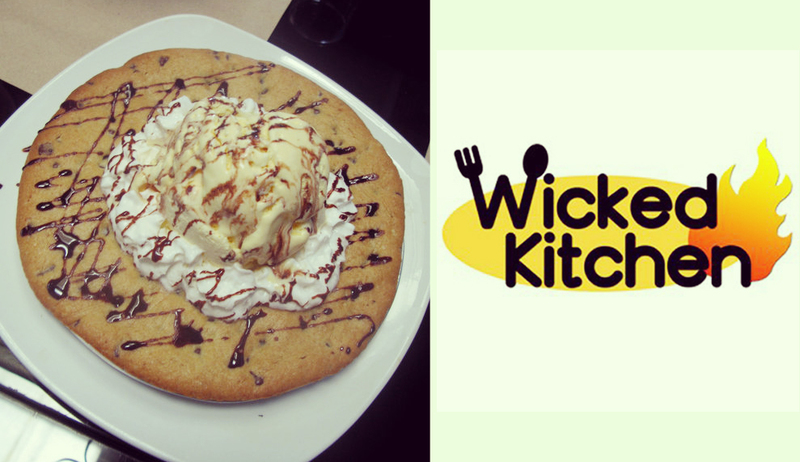 If you are a fan of desserts & comfort food, Wicked Kitchen is the place for you. 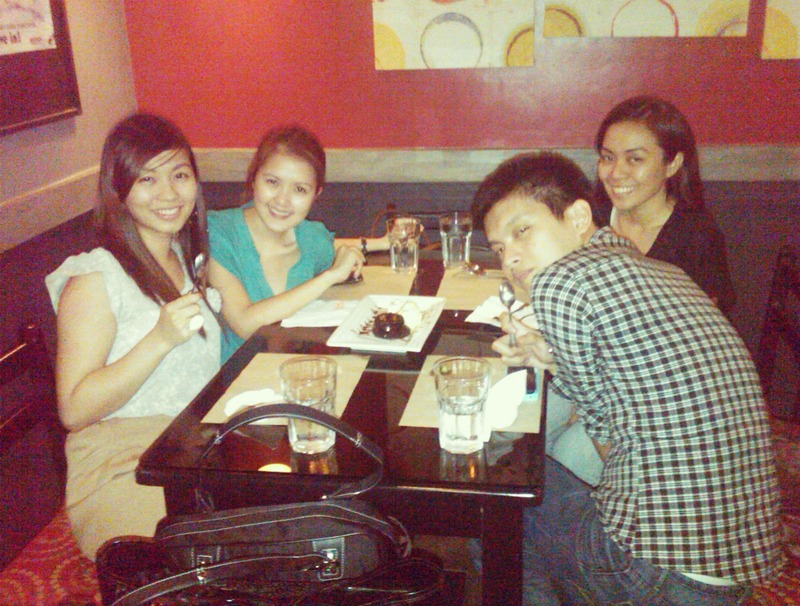 Wicked Kitchen is a quaint restaurant located at Mother Ignacia just in front of ABS-CBN. Me & my friends go here every time we want to have long talks & good laughs. 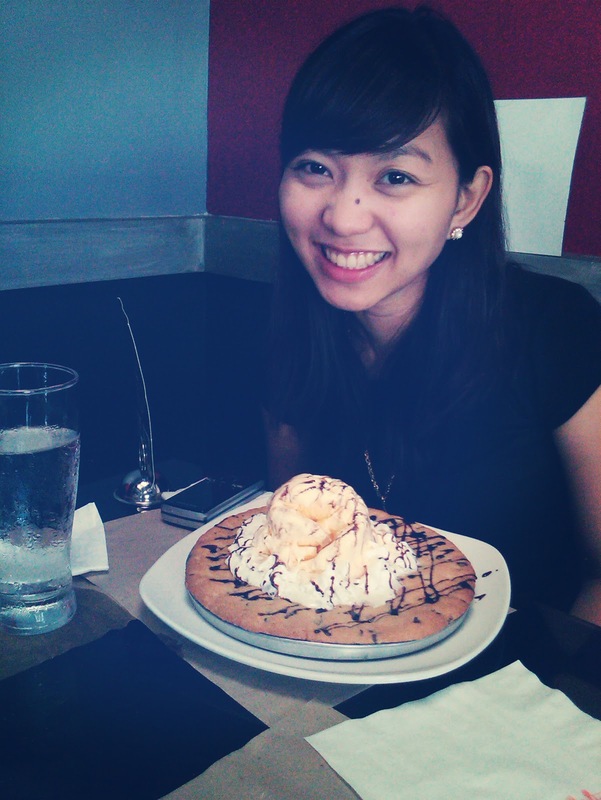 Birthday girl with her fave Gluttony! For starters, we order their Broccoli & Cheese Chowder (P109) it's a thick and hearty soup of broccoli and cheddar served with crunchy parmesan croutons. We usually divide this into two. Crunch Bagoong Rice (P175) is irresistibly tasty! Deep fried crunchy liempo bits, sautéed in spicy bagoong with green mango strips. 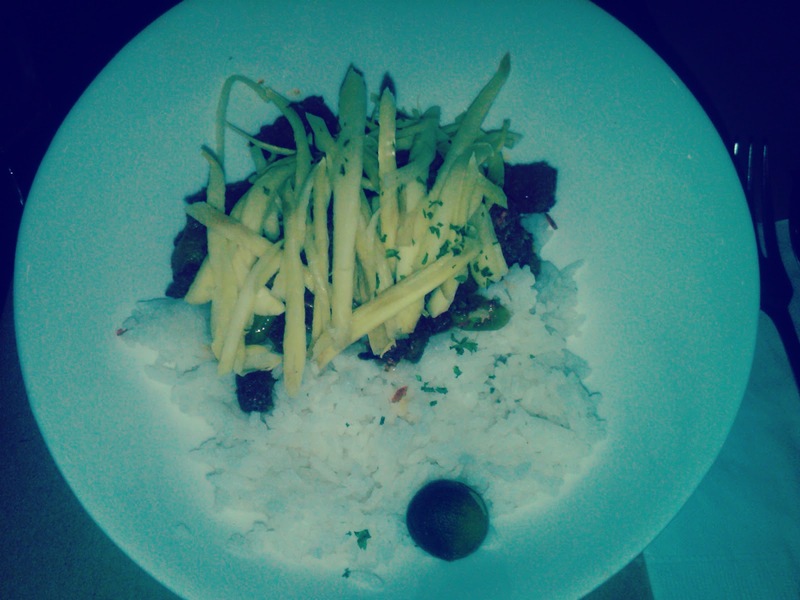 The crunchiness of the liempo is perfect with the bagoong and green mango. My second most favorite rice bowl is the Crab Omelette (P170) Egg omelet with crab meat, cabbage, onions & tomatoes. Chicken Kebab (P215) is for those who want to eat something healthy but yummy. It's kitschy spiral skewers of chicken, mushroom, zucchini & onions, grilled to perfection. Mike's personal favorite. 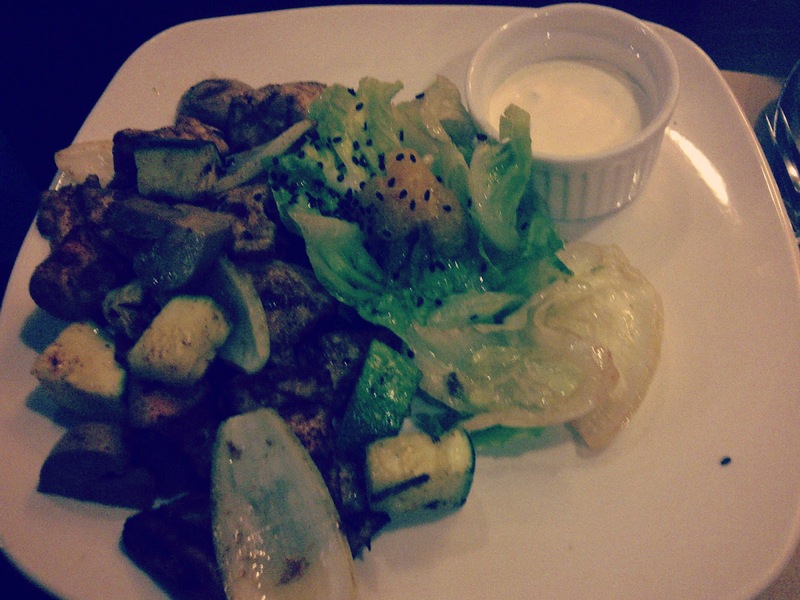 The chicken is tender & the salad goes well with the kebab. For those who don't want to eat rice, I recommend Asian Chicken Salad (P198). I order this every time I feel the need to cut down on cholesterol & rice. 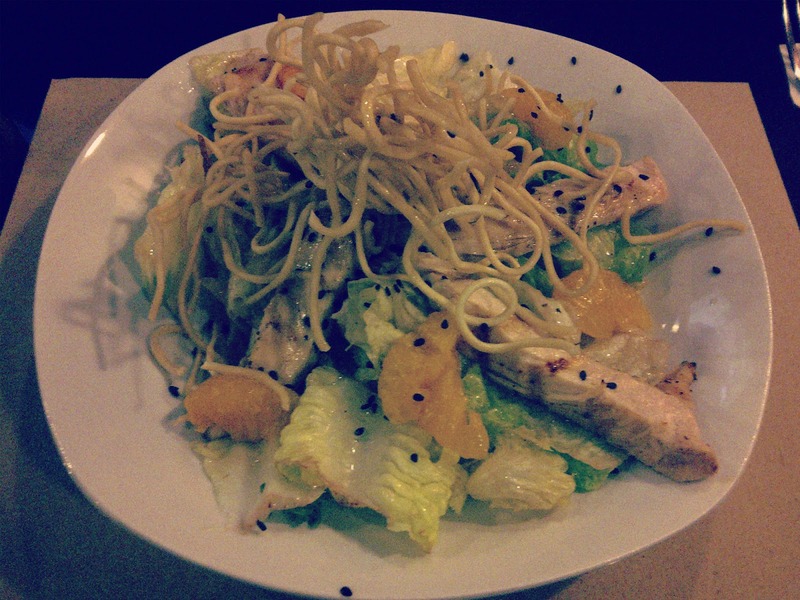 It's a refreshing mix of lettuce, crunchy egg noodle, mandarin oranges, grilled chicken drizzled with honey sesame vinaigrette. My most favorite is their Gluttony (single- P165, to share- P315) it's a freshly baked giant chocolate cookie that is crunchy outside but moist & chewy inside, served with big scoop of vanilla ice cream. I fell in love with this dessert the moment I tasted it. Definitely a must-try! 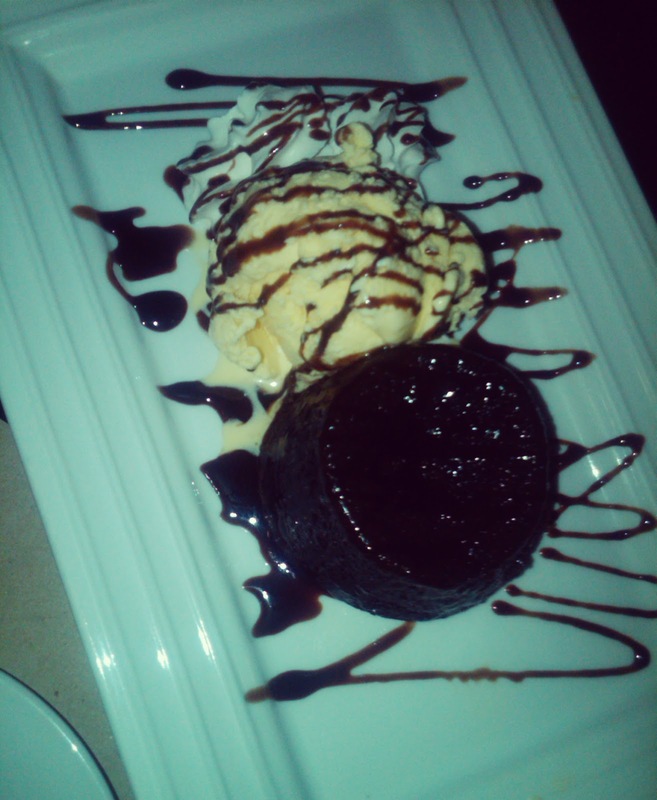 and of course there's Sloth (P188) a chocolate molten lava cake served with a scoop of ice cream. 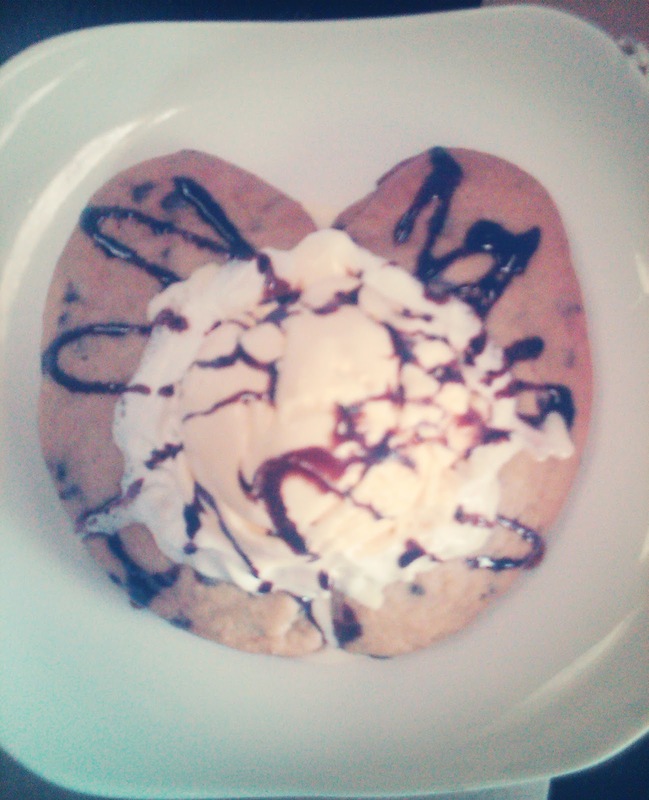 Patch & Mike introduced this dessert and became an instant hit with the group. 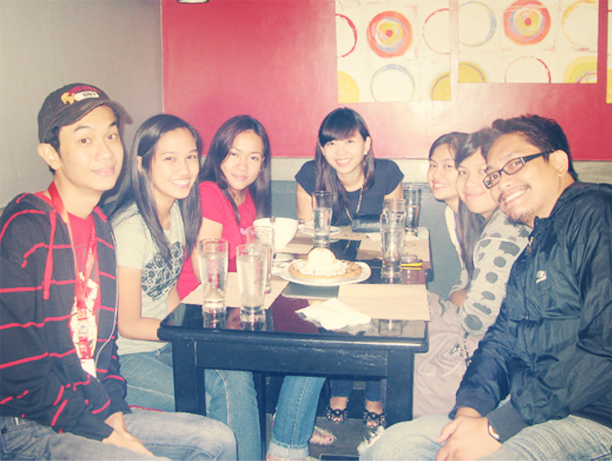 It's always in our order and every time we order it we're in CHAOS! Paunahan, ang mabagal kumain, lugi! 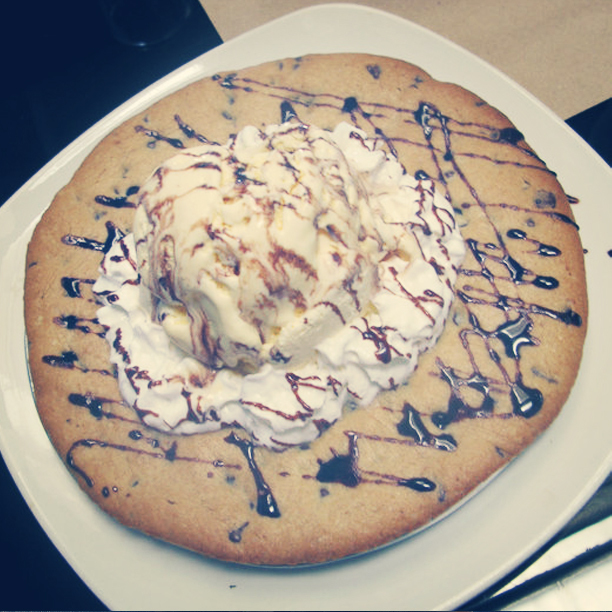 Without a joke, this thing never stays on the table for more than 1 minute, that's how much we love it! So try to visit Wicked Kitchen and indulge in sinfully good food.